Hey Everyone! We apologize for the absence of posts on the blog in the past year or so. After a transition of blog ownership, we are now ready to post consistently throughout the next year to give a great picture of student life around grounds. We want this blog to be most beneficial to you all, so today we want to introduce ourselves and then we want to welcome all comments and suggestions for future posts! Hi! My name is Win Maddox and I am a second year pre-commerce student at UVa. I am from Virginia Beach Virginia and am hoping to delve deeper into the study of finance within the McIntire School of Commerce during my third year. Some of involvements around grounds include being heavily dedicated to UVa student outreach (interactions with alumni, parents, and especially prospective and newly accepted students), Green Dot power based violence bystander training, and student council involving academic affairs around grounds. My main goal is to provide a clear and informative view of what it is like to be a student around grounds, while adding in my own experiences to make it personal. My name is Katie Goodwin and I am a third year at UVA from Leesburg, Virginia. I am majoring in economics in the College of Arts and Sciences and minoring in the Curry School of Education in global studies in education. Around grounds, I am involved in different areas of the admissions office through volunteering for Days on the Lawn and helping out with information sessions for prospective students. I also am involved in Intervarsity Christian Fellowship and Day in the Life, a tutoring program for schools in the Charlottesville area. You can always find me drinking coffee in any of the many coffee shops around Charlottesville, or hanging out with friends on the lawn, and I hope to share my many UVA experiences through the blog! 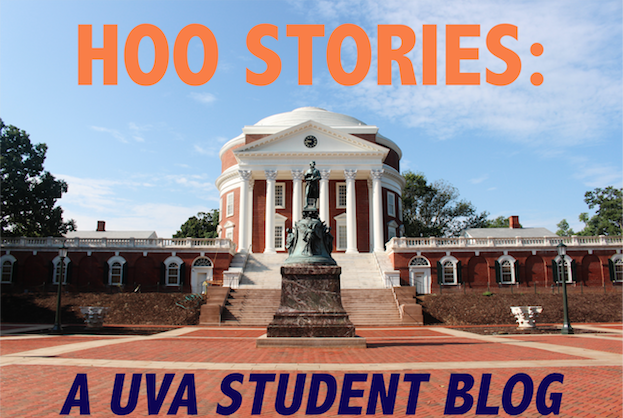 We want to make this blog as useful to prospective/accepted students as possible, and thus the purpose of this post is to not only introduce ourselves but also to gather ideas/suggestions of what you all would like to learn more about as a student at UVa. Please post your suggestions in the comments below, and we will write about the most suggested ideas throughout this upcoming semester! The Admissions Summer Interns will be taking over the blog for the summer and we've expanded onto different social media platforms! We'll be posting every Tuesday and Thursday until the end of the summer. If you have any specific topics you would like us to cover please feel free to leave a comment on this post! This class is one of the most interesting and engaging classes I have taken at UVa. It covers the history of the trials during 1692, paying careful attention to the origin stories and primary individuals involved in the whole debacle. From there, you move forward into modern day to explore literary and documentary interpretations of the Salem Witch Trials. You also get a close look at some of the primary documents that have been preserved throughout the years, reading for yourself the transcriptions of the court proceedings. This class is so incredibly fun. You get to read scripts from classic plays, watch plays that the UVa Drama Department puts on twice each semester, and work with a group to develop your own skit that is performed at the end of the year for the entire class. Not only is it fun and lighthearted, but you also learn about public speaking and how to work as a group to devise your own masterpiece. This class can bring you out of that proverbial shell and help you become more at ease with speaking up, speaking out, and being excited while doing so. For those of you more intrigued by matters of science, this is a class that gets great reviews from students who have taken it. You get to learn about black holes, extraterrestrial life, dark energy, the nature of time, and so forth. Who doesn't want to dabble their toes in learning about things like this? Whether you're a science or non-science major, this class could offer you some great excitement during the weeks when your other classes are feeling a little heavy to bear. Yes, you read that title correctly. There is a class offered at UVa that is focused on the literature and folklore surrounding the figure Dracula. This class is another one that gets great reviews from students, with its discussion of slavic literature and the western misconceptions of vampires. The course is self-described as being interdisciplinary, meaning that it discusses a number of topics while exploring the subject of Dracula: religion, folklore, film, history, literature, and even disease. This class explores the ways in which media and politics intersect over a broad range of issues: war, elections, political campaigns, and more. The lessons you learn from this course are both fun and useful to aid you in navigating the media/political realm of American society. You get to explore the nature of political advertisements, media ownership, and the effects media has on its viewers. You certainly learn a lot, and the professor always makes the lectures entertaining and engaging. Obviously this list is not exhaustive. There are plenty of classes left untold by this blog post, but hopefully this will get the gears in your brains turning and thinking about the types of classes you would be interested in taking throughout your years as a student at the University. Whatever you decide to take, though, remember to have fun while you're learning something new. College is a chance to explore your interests, pursue your tastes, and learn a little bit of this and that along the way. One thing seems to be on the minds of everyone this time of year: what classes should I take in the fall? It's an exciting and stressful time for everyone, but especially so when you're an incoming first year hearing horror stories about not being able to get any of the classes you want and being stuck in class purgatory. So first off, I'd like to say to everyone, take a deep breath. It will be fine. You may not get your first pick of classes but you will end up taking really cool classes, some of which might surprise you. No, you will not get into criminology your first year (or probably your second or third year either). Popular classes fill up fast and the waitlists are long. Look around at other options. Now, you're probably wondering when exactly you will get to sign up for your classes. That will be done during orientation over the summer and you will have orientation leaders there to help you create schedules and navigate sign up on SIS. However, you should have a general idea of what sort of classes you want to take before you get to orientation to make the whole process easier on yourself. Keep in mind any AP/IB credits you come in with and the requirements for your school/potential major. For example, in the College of Arts and Sciences there is a foreign language requirement if you, like me, stopped Spanish as soon as possible and didn't place out with the knowledge you retained 2 years later. A good place to look at all the current classes, and how full they are, is on Lou's List. Focus on 1500 and 2000 level classes, which are geared more towards first and second year students. One of the other important things to keep in mind is timing. Think about when you like to get your day started. If you're not a morning person, try and steer away from 8ams to make actually getting to class more likely. Also remember to block out time to grab lunch/ a snack in the middle of the day. Food is very important and should always be scheduled around. Lastly, when actually creating your schedule pay attention to where your classes are and how much time you give yourself to get there. If you want to get from Gilmer to Wilson in 10 minutes, keep dreaming. The orientation leaders will be really helpful with this so don't be afraid to ask. Lastly, don't be afraid to take something weird and out of your comfort zone. You have a limited number of semesters to fit in all the classes you need and want to take and there are some surprisingly weird and interesting classes. For me, the class out of my comfort zone was an astronomy class called Unsolved Mysteries of the Universe. While definitely challenging, we got to talk about things like black holes, alternate dimensions, and dark matter. Plus the professor was a really great lecturer, so I highly recommend it. It was the first of 3 classes that I've currently taken geared toward outer space and I have no regrets. Can I pick my own roommate? Yes! You can request a roommate on the housing application that you know from high school or chatted with on the Facebook page or met through some other event. You can also pick to have a random roommate which many people do so don't feel pressured to find somebody. It honestly can work out great or not so great with either option and ultimately this person is your roommate not a required best friend and what matters is that you can live together peacefully. Can I pick which dorm I get? No. Where you get placed is random. Which is the best dorm? In my opinion, new dorms are the best, but I am incredibly biased since that's where I lived my first year. All joking aside, your living situation is what you make of it. If you put yourself out there and get to know your dormmates and hallmates you will be fine regardless of where exactly you're living. And now on to the actual dorms! 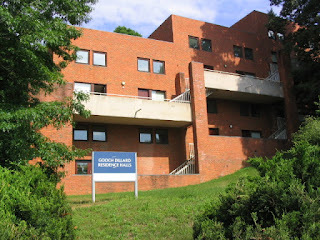 Located close to the Chem building and other science buildings that I avoid at all costs, Old Dorms are hall style which means two people per room with a bathroom that is shared by the hall. Also in all hall style dorms the entire dorm in co-ed but each floor is one gender. There's no air conditioning so bring your own fan for those last weeks of August and first weeks of September. New Dorms are also hall style but have air conditioning! 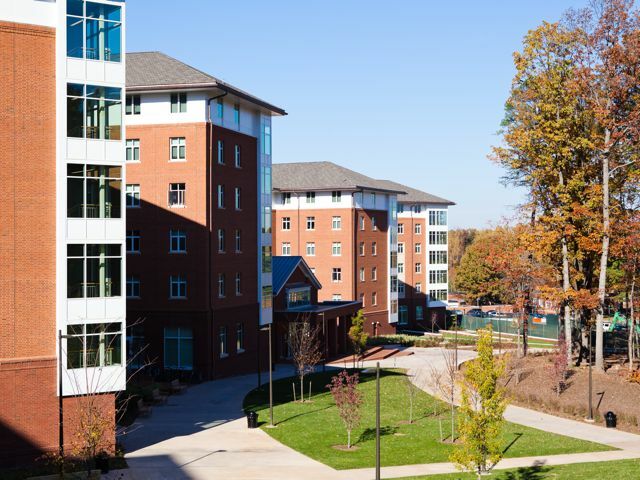 They are also located right near O-hill, one of the three dining halls, and the Aquatic and Fitness Center (AFC), home of the largest hot tub on the East coast. These dorms are suite-style which means there are several single or double occupancy rooms are a common living space and with a bathroom in each suite. These dorms are also air conditioned and are a little farther from classes but are surrounded by trees and have Runk dining hall right in the middle of all the buildings. If you're anything like me, then food speaks to you on a spiritual level. It gets you. You and food have a connection that surpasses the bonds between mere mortals. In times of sorrow concerning the latest Grey's Anatomy tragedy; in the moments of utter joy a Friday brings; and even those times in between the extremes, food can be a true source of comfort. For this reason, I've compiled a list of foods that will carry you through the ebbs and flows of your first year of college. More importantly, consider this a road map for avoiding the dining hall after eating French fries and pizza three nights in a row (but of course I'm not speaking from experience). I'm not saying you shouldn't be mindful of the dreaded "Freshman 15," but I'm also not telling you to prohibit your foodie flag from flying. Is it stereotypical college student food? Yes. Is it cheap? Certainly. Is it easy to make? Without a doubt. Ramen is a staple food during the first year of college for many students because it is, to say the least, cheap and easy. Beyond that, Ramen is like hipster chicken noodle soup for when you inevitably become sick during the school year. It's a source of comfort. It's dependable. Debatably a condiment, but necessary when spicing up noodle dishes and various other bland, potentially delicious meal sources. It's a cheap way to flavor food, especially when having a lazy day in the dorm. Here's why oranges are great: they last a long time, they're healthy, and the vitamin C packs a punch when a pick-me-up is needed. A bag of oranges from the supermarket will last at least three weeks, so it's no big deal if they’re not eaten quickly. Another great snack food to have around the room. Whether it be dashing in and out between classes or settling down for some quality time with Netflix, these little beauties are fantastic. Caution: It's very easy to consume an entire box in one sitting without careful exercise of willpower. More healthy options! Steamed vegetables, the frozen packs that are bought in the supermarket, can be great microwavable foods that guarantee at least two meals. Experiment with the different flavors, but don't buy so many that the mini-fridge's even more miniature freezer becomes crowded. This is just a staple for dorm life. I personally recommend those quart-sized Ben and Jerry's flavors, because you can sample a variety of concoctions. Ice cream can be for any occasion, and really I don't need to say more. Sometimes (most of the time) you won't wake up early enough during the weekdays to go get a substantial breakfast at the dining hall. For those occasions, breakfast bars can be a lifesaver! They're also great snacks to have on hand throughout the day and for those times in class when a starving stomach is screaming in protest. Let's just lump lunch meat, cheeses, peanut butter, jelly, and bread together to make this simpler. It's always helpful to have this stuff in the fridge for those times when you just want to eat something more filling than potato chips. Also relatively cheap, sandwich components are necessary food items. Chlorinated water is gross and yet abundant. Water filters can fix that problem and guarantee a fresh drink in times of struggle. Perhaps they're a little pricier, but your taste buds will thank you later. This is pretty vague, and I'm keeping it that way. Whatever your sugar preferences may be, it's important to have some sweets in the room to keep you sane. People bond over this stuff, so make some friends through the mutual appreciation of sweets. Treat yo 'self. You deserve it. Of all the majors at UVA one that doesn't get a lot of love, like commerce or anything in engineering, is the history major. 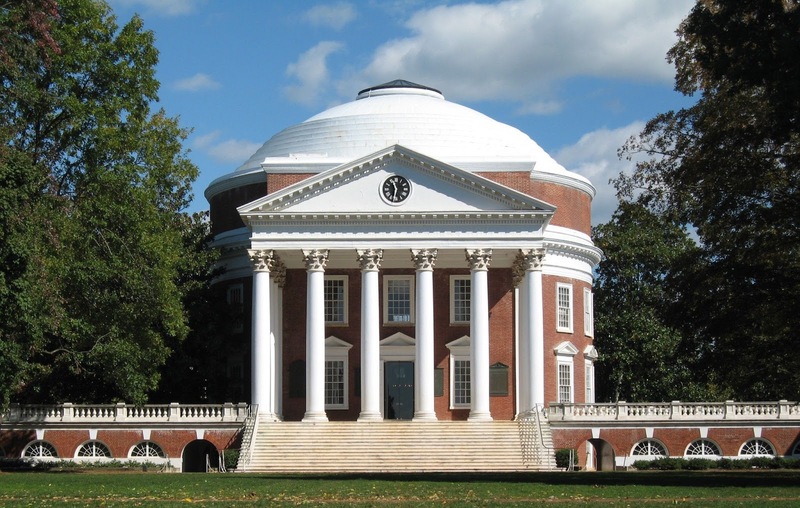 Part of the College of Arts and Sciences history is an interesting and valuable major that UVA offers. So, without further ado, here are some things that future wahoos should know about history at UVA. When thinking of history what might come to mind are high school classes that simply give overviews of history, from important names that you have heard of a million times to lists of dates of battles and the posting of Martin Luther's 95 theses. 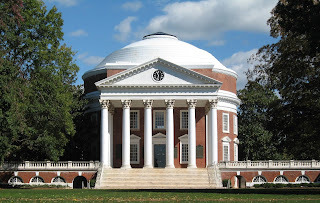 However, history has so much more to offer and at UVA you can take courses in African, Latin American, East Asian, European, Middle Eastern, and American history, among others. The courses range from general introductory classes to very small major seminars on specific topics or themes in history. One of my favorite courses so far in my three years at UVA was in the history department called Supernatural Europe. In this class we discussed the history of supernatural beliefs and practices throughout early modern Europe. That meant that while studying for the final I got to talk about witches, vampires, werewolves, and possession by the devil, all in the name of academics. To complete the major you must complete 11 history courses, though what exactly those courses will be is up to you. You must take one class in pre-1700 Europe, one in post-1700 Europe, one in U.S. History, one in African, East Asian, Middle Eastern, Latin American, or South Asian history, and a major seminar, as well as 5 classes in any area you choose. Within those broad guidelines you can tailor your schedule to what you want to learn about. To list all the various awards that the professors have you take up way too much time and space but suffice it to say that they are incredibly smart, accomplished people who always have time to talk to you during their office hours and are really passionate about what they teach. Not to mention that when you declare the history major you will get the opportunity to choose which professor you would like to have as your advisor. But fortunately that reading is rarely in standard textbooks. Instead you will read a variety of primary and secondary sources that is more than just names and dates on a page. Not only will you learn how to large volumes of a variety of materials and synthesize that down into the most relevant and important parts, you will also hone your writing skills, talk intelligently about disparate ideas, communicate effectively, plan and organize your time effectively, and be able to sell your major and skills with fancy and desirable language like I did here. If you want to learn more about the history major (or minor) check out the department website here.